Adding a backsplash into the area behind your sink is an easy way to give your kitchen a fresh look and protect the area of interest from the effects of liquid splashes. 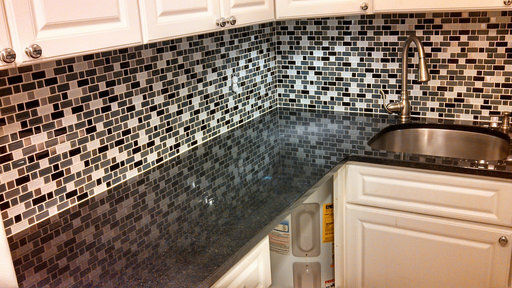 When it comes to installing a backsplash, there is no need to invest so much hiring an expert. It’s a simple job you can do yourself. All you need is to have right materials and tools as well as understand the simple tips and tricks to follow. 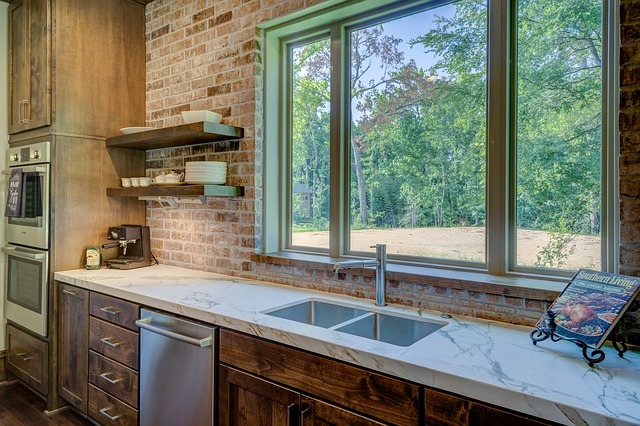 Here, I am going to outline a detailed guide on how to successfully install a kitchen backsplash without the need to enlist the services of a contractor. Start with turning off power and removing all outlets switch-plates and covers to your kitchen. Make sure you properly tape off the cabinets and power outlets. When done, examine the condition of the kitchen and ensure you remove every appliance around the walls. Use the level to attach a ledger board to the bottom area where the backsplash will sit. Make sure the ledger board is of the right size before you screw it into the walls. The board will serve to hold your tiles to your preferred level until the adhesive dries. Once done with attaching the board, use water and trisodium phosphate to clean the walls. Before you move on to the next step, ensure your walls are of the same level. If there are dips or ripples, make sure you fill them using any of your favorite joint compounds. Locate an area within the wall where you want the tile center to sit and draw a vertical line. Use the tile spacers to place the tiles on your kitchen countertop facing horizontally. Check the ends and adjust the layout of your tiles to allow for easy cutting. Look at the vertical tile design and ensure you cut the tiles to size. To do this, you need to locate the low-end of your kitchen countertop using a level. At this point, hold one of your tiles and place a mark at top area where the tile sits. From there, you should then extend the line along the entire area of interest using a level. This line will help you cut the tiles accurately. When done with wall preparation and tile layout work, you should then proceed to install your backsplash. First, mix the tile adhesive as per the instructions of the manufacturer. After mixing the adhesive, use the drywall trowel to apply it to the walls and then place your first piece of tile to the area where you applied the adhesive. You are advised you use a rubber float to press the tile as this will guarantee better results. Let the glue to dry for at least twenty-four hours then apply the grout and press it with rubber float to ensure it seamlessly spreads around the joints. Give it 8 minutes and then clean the excess grout using a sponge. After cleaning the excess grout let it dry as per the time given by the manufacturer. Once the grout has dried, you will then need to apply the grout sealer and seal all the extension gaps using silicon sealant. Check to make sure the completed work meets your quality expectations before you collect the waste materials and return your tools to the tool box. It’s all that simple.